Jose Hernandez has worked at Providence Sacred Heart Medical Center in Spokane for 10 years. 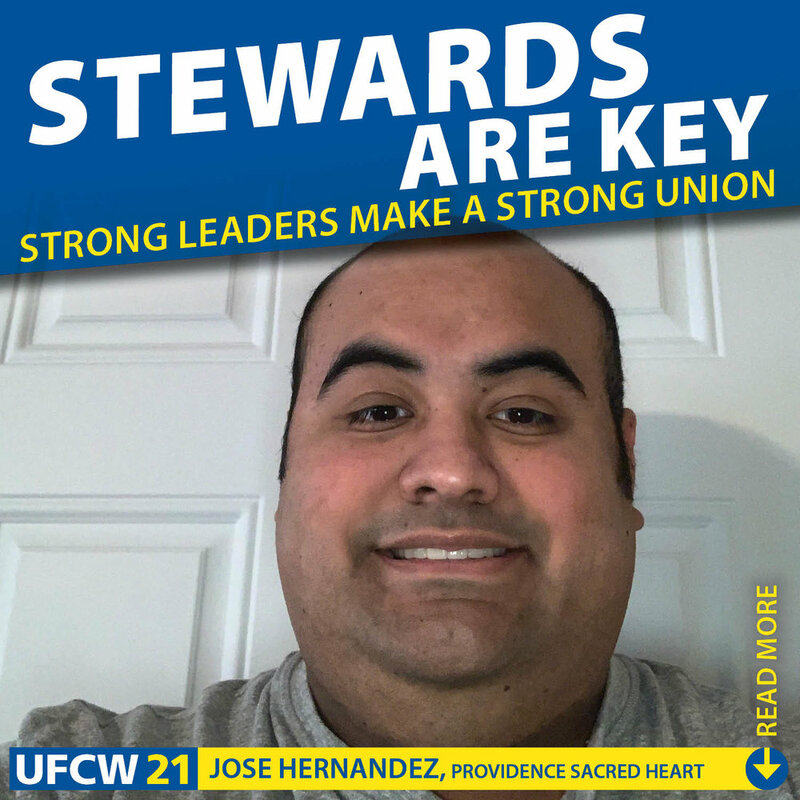 Jose decided to become a Steward last Spring, he says, “I wanted to become a Steward to hold Management accountable to our contract and to treat me and my co-workers fairly.” Since becoming a Steward, he has taken on many roles including the Conference Committee, Negotiating Team, Providence United Coalition, Health Care Advisory Board and New Employee Orientation. He is a key leader in the Emergency Department as an Emergency Department Assistant and has helped Management understand and follow the contract in many ways from staffing, scheduling, job descriptions, moral and safety. He has also rallied his co-workers in holding Management accountable by standing up for their rights without fear of retaliation. 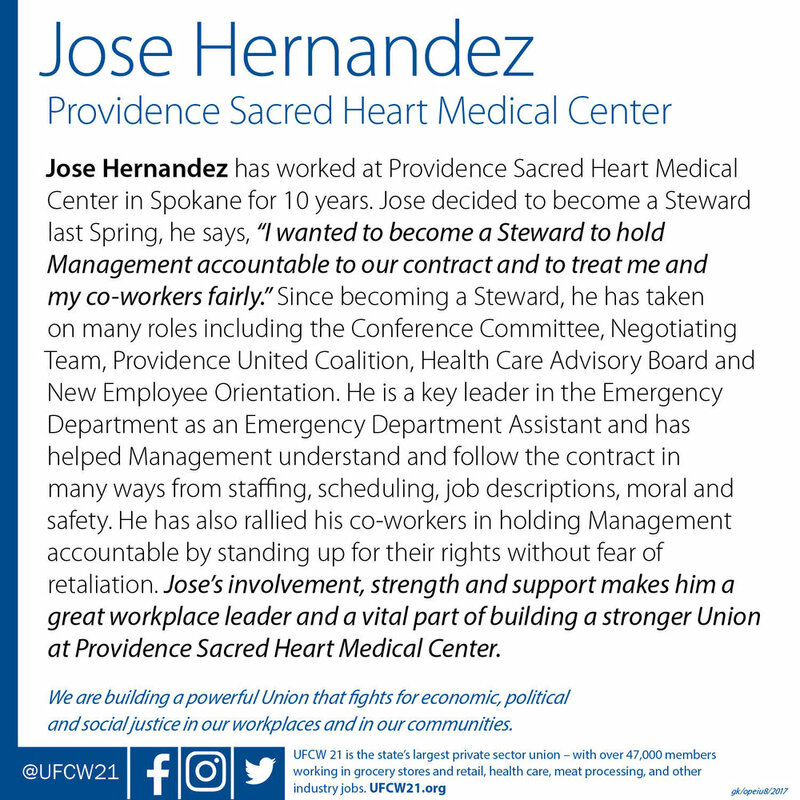 Jose’s involvement, strength and support makes him a great workplace leader and a vital part of building a stronger Union at Providence Sacred Heart Medical Center.